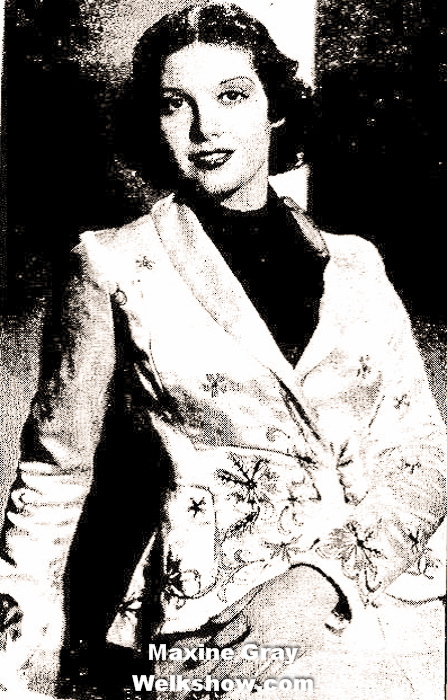 Maxine Gray was Lawrence Welk's first Champagne Lady. Gray was 18 years old when she headlined her own radio show for WFAA. After hearing her sing, Lawrence Welk invited Gray to join his Hotsy Totsy Boys Orchestra, which she did in 1934. Gray became the unofficial Champagne Lady as the term had not been coined yet by the press. In 1936, Gray left the show and joined the Ted Weems Orchestra. Gray was replaced on the Welk Show by Lois Best. In 1938, she broke her back and suffered other major injuries in a train wreck. She had joined the Hal Kemp Orchestra by then and the band was on their way to a performance in Illinois. Gray took over a year to fully recuperate. 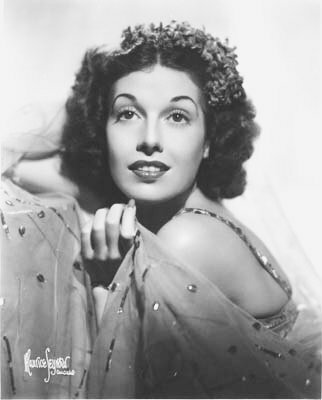 Gray later co-starred in the Alvino Rey-Maxine Gray radio program in 1939 and starred in her own program, Maxine Gray Entertains, from 1939 to 1940. During the 40's, Gray performed on KTSL and frequently appeared with pianist Art Tatum and Skitch Henderson on the "California Melodies" TV Show. Gray also sang with Webley Edwards on "Hawaii Calls," and with Chick Floyd, Alfred Apaka, Ed Kenney and the Del Courtney Orchestra. She moved to Kailua Hawaii in 1958 where she raised her son and daughter and remained there until her death in 2006 at the age of 92.